Sayulita a wonderful quaint fishing paradise, with its picture perfect beaches located on the pacific coast of mexico, settled in a protected cove and surrounded by jungle. Known for their great surfing beaches, surfers have been coming to this fishing village for years. The beaches and sunsets are beautiful, you can walk forever with beach restaurants right on the sand, a haven to spend all day! Sayulita has many different types of restaurants including Chinese, American and of course the wonderful Mexican cuisine, whatever you are in the mood for. The quaint center plaza has a variety of different vendors, especially in the evenings and week-ends. Than of course the festive mariachis that play in the evenings and special occasions. 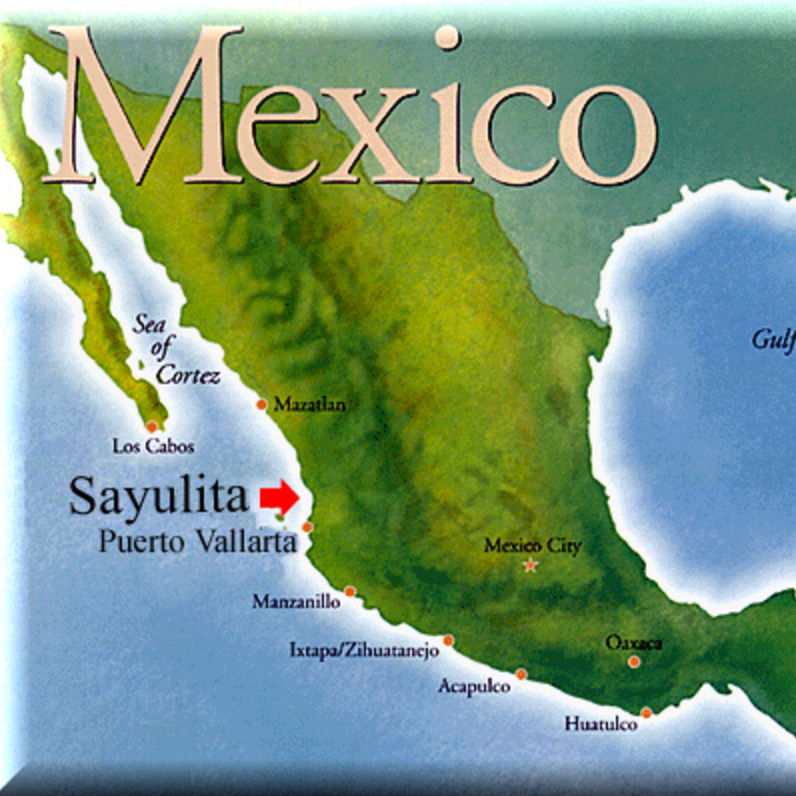 Sayulita has its own galleries with art displays, and handicrafts, by renowned and local artists. The little town is surrounded by lush green hills and beautiful Mexican Architecture. 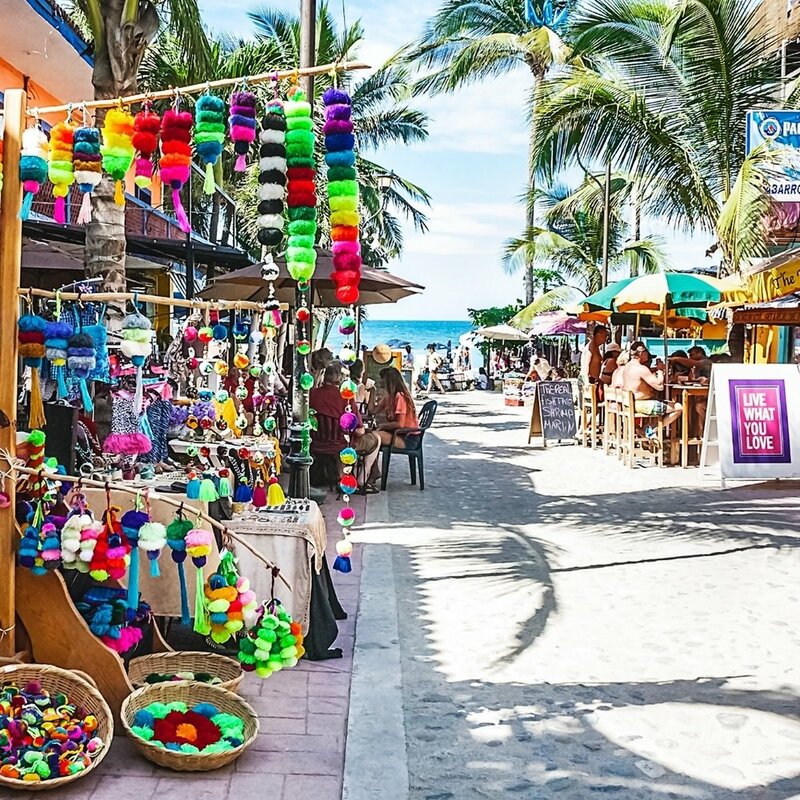 There are wonderful day trips you can make, one is San Pancho maybe 7 minutes North, and then of course a day spent in trendy Puerto Vallarta is always fun! 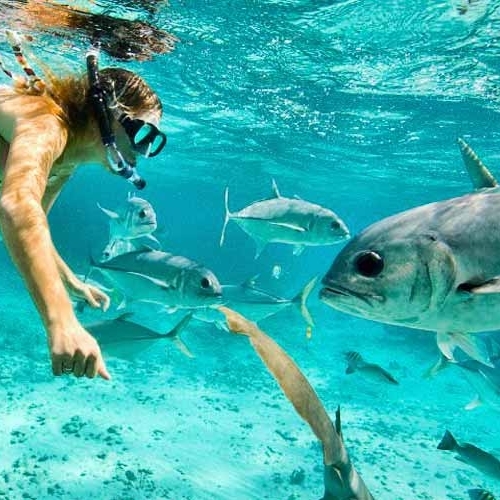 A day fishing, surfing or diving is all at your fingertips.